Pet services, animal services ads in Sydney. Thank you for visiting our free advertising website Pet services, animal services, Sydney section. We provide high response free classifieds and free advertisement. Use our online free Pet services, animal services classifieds placement system to find, list, offer Pet services, animal services online! Need help with for Dog Training Sydney? Stop running around as we are the best place to Provide training to your dogs. Because Dog Training Classes are the most common ways to train your dog. To known more visit : https://www.puppytodogschool.com.au/. 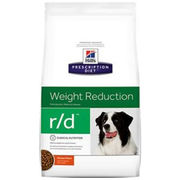 Buy Hill's Prescription Diet r/d Weight Reduction Chicken Flavor Dry Dog Food.Hill's Prescription Diet r/d Weight Reduction dry dog food is clinically proven nutrition developed to support your dog's weight management. https://www.vetsupply.com.au/dog-food/hills-prescription-diet-rd-weight-reduction-with-chicken-dry-dog-food/pet-foods-1086. Underwater Dogs promise you the cleanest, softest most delicious smelling dog on the block. A scientifically researched, professionally formulated range of Superior Haircare Products, soap-free, paraben-free and pH balanced especially for your Dog..
We offer commercial genetic testing to the wider aquaculture industry which helps them in enhancing production. Visit our website today for more information. Visit Here :- http://xytovet.com.au/index.php/aquaculture-pathogen-testing/ Contact Us :- Xytovet pty ltd 46-48 Banksia Road Welshpool 6106 Australia 08. 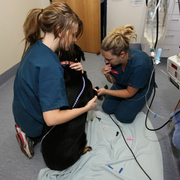 Xytovet is one of the leading veterinary diagnostic company located in Perth, Australia. We deliver the best products and services in Asia. Visit our website today for more information. Contact us:- Xytovet pty ltd 46-48 Banksia Road Welshpool 6106 Australia 08. We offer dog day care services in Sydney to give your pet a place to stay while you are away. Join us at Puppy Playground to get a professional dog day care services.. Boutique boarding in Sydney for Small Dogs and Cats in a caring and professionally run environment. Low guest numbers and high staff to pet ratio ensure 24hr care for each guest. Located on 5 acres only 30 minutes from the Harbour bridge. Address: 413 Killawarra Rd Duffys Forest NSW 2084 Australia Phone:	02 9450 1579 Website:	https://smallpaws. Greetings from Scissored Paws. We do Cat grooming in Manly at an affordable & reasonable price. 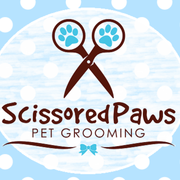 We know how careful one has to be with a pet & we, at Scissored Paws, has experience in handling all kinds of animals. Call us on +61 2 9976 6744 to know more about us in detail. http://plus.google.com/100209281918702045922. Salmon Oil for Dogs and Cats. Nourishes skin for a soft, shiny coat. Relieves Itching, Reduces Allergies, Boosts Immunity & Heart Health and Much More! 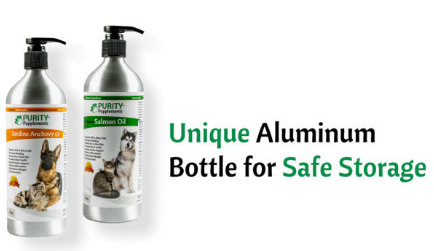 See more here: https://puritypupplements.com/product/salmon-oil-for-dogs-cats/. After Hours Emergency Vet Clinic in Ballina operating every weekend and Public Holiday. Contact us on 0424 054 056 to speak to our experienced team of vets for your pet needs Website:https://www.ncev.com.au/ Phone:0424 054 056 Email:office@northcoastemergencyvets.com Address:14 River St, Ballina. Online retailer of pet and aquarium accessories Online retailer of leading pet and aquarium accessory brands and products. Offering an extensive range of quality products at everyday low prices with fast shipping. Website:	https://www.petsaroundtheclock.com.au/ Email:	admin@petsaroundclock.com. East Coast Dogs specialise in quality raw & fresh dog food with no preservatives, no additives and no chemicals with the added convenience of delivery right to your front door. https://rawandfresh.com.au/ Bensville NSW 2251. One of Australia’s most loved pet health insurers, providing quality pet insurance with generous benefits to Australian pet lovers. 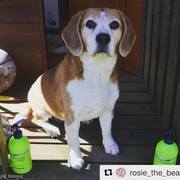 Petsecure also supports rescue organizations across Australia and provides special discounts for rescue pets and seniors Address: 465 Victoria Ave, Chatswood NSW 2067 australia Web: https://www. Animal Tracks Veterinary Clinic is a well established veterinary clinic that has been caring for pets and their humans for over 15 years. We are fully equipped to carry out soft tissue surgery, dentistry, radiology, basic in-house pathology, puppy preschool, cat boarding and grooming services so we can ensure you and your pet receive excellent rounded veterinary care and services for all stages of their life. When it comes to finding the right veterinarian for your pet, you want to find the best that there is in your area. Be sure to find a veterinarian who has been in business for several years and has gained a good reputation within the community. Experience is key for any type of health care provider and that is also true when it comes to finding someone to care for our pets. Dog boarding kennel for big and small dogs. Cosy indoor accommodation and huge grassed play areas. Caring and loving staff to mind your pet. Fair prices which include premium dog food and treats. 35 years experience with dogs..
Go Fetch is a luxury dog walking and boarding business. Bring your dogs to vacation on our property, we walk in groups of four dogs in off leash parks on the lower north shore.Get more information from here:http://gofetchdogwalkingandboarding.com/. Luxury Cat Minding Service, When Only the Best Will Do Aragon Cattery provides the best cat minding service in Sydney. Treating your feline like royalty, we stand out, offering five star facilities including reverse cycle air conditioning and oversized verandah penthouses. We have large apartment condos and soon will have new villa suits set in peaceful rural surroundings, so you can escape Sydney for a long or short break. Pets Please is a leading Australian website designed for pet lovers of all kinds, it’s where everyday people and families can find their next pet from hundreds of listings. It is also a great channel for pet breeders and suppliers of pet products to advertise their services and connect with new customers. Australia's Best Bodyguards continues the tradition of breeding one of the rarest and prevalent dog breeds in the history of man. Through dedication, love, and an elite training program, we are able to provide a life-long companion and security dog for you and your family as Australian Mastiffs are super intelligent with the most impressive natural working ability Call 0417 407 917 to find out more http://australiasbestbodyguards. Established in 1957, exporting its products to 38 countries, specialising in alleviating heat stress in farmed animals. Have researched and developed unique products such as ANIGANE, SELECTOLYTE, COPTROL, TOXIMED all used in intensive animal farming. http://www.rci.com.au/ Unit 5, 7-9 Kent Road Mascot New. Australian owned and operated on-line pet accessory store importing products from around the world. Over 30 years of experience in the pet industryAustralian owned and operated on-line pet accessory store importing products from around the world. Over 30 years of experience in the pet industry. TOUCHDOG AU - A Collection of dedicated creation of pet products, designed in mind with quality and functionality , plus a hint of American vintage. We welcome all dog lovers to our family ! Let's get. Dog Around Town has a commitment to you and your pets. This means that we'll make sure that they have a non-stop amazing time with us - including belly rubs, praise, play, food and treats. We have a passion for animals and Jacqui has been offering a dog walking service for 3 years so is highly experienced - giving you that piece of mind when leaving you pet with us. Exclusive Horse Transport offering an affordable safe and reliable service. New purpose built truck. Surveillance cameras in use at all times. Call on 0438 652 530 or contact us today for a competitive quote..
Swifto brings dog walking into the 21st century with GPS tracking, live notifications sent straight to your phone, and photos of your pup! Our highly experienced - bonded & insured - walkers come equipped with the Swifto app, it's a slick solution for your daytime dog worries. See more here: https://www. Are you a fishing enthusiast, or planning for a day round fishing trip in Sydney then you must charter with Charter Fishing Sydney. We have a team of highly experienced crew to guide you. We have specially built charters with all latest Fishing Equipment, GPS and recent Fishing Reports with detailed information about best deep sea fishing spots in Sydney. Australia free ads for Pet services, animal services, Sydney, Pet services, animal services free ads Sydney, Pet services, animal services for sale Sydney, Pet services, animal services to buy in Sydney. Find on this page free classifieds for Pet services, animal services in Sydney. This listing includes classifieds for sale and to buy in Sydney. FREEADSAustralia Sydney offers you a platform to post free advertisements or classifieds for Pet services, animal services in Sydney. FREEADSAustralia helps you search, find buy, sell, rent or hire in various categories like apartments, goods for sale, local services, cars , jobs and many more in Sydney. If you posted an advertisement in category Pet services, animal services of FREEADSAustralia Sydney before please use Edit my ads button to change or cancel your ad. Pet services, animal services Sydney ads Sydney, Pet services, animal services classifieds Sydney, Pet services, animal services free ads Sydney, ads for sale Sydney, ads to buy Sydney, FREEADSAustralia. Find here ads for sale, to buy and rent in Sydney. Goods for sale in Sydney, vehicles for sale in Sydney, Sydney real estate for sale, Sydney property for sale, property for rent in Sydney, business ads in Sydney, Sydney business classifieds, services in Sydney, Sydney services ads, jobs in Sydney, pets for sale in Sydney, Sydney dating, Sydney cars for sale.